This week as a family we made a food calendar so I would know what they want for dinner. Our Chinese teenager asked to have his meat not mixed with anything and to have rice. 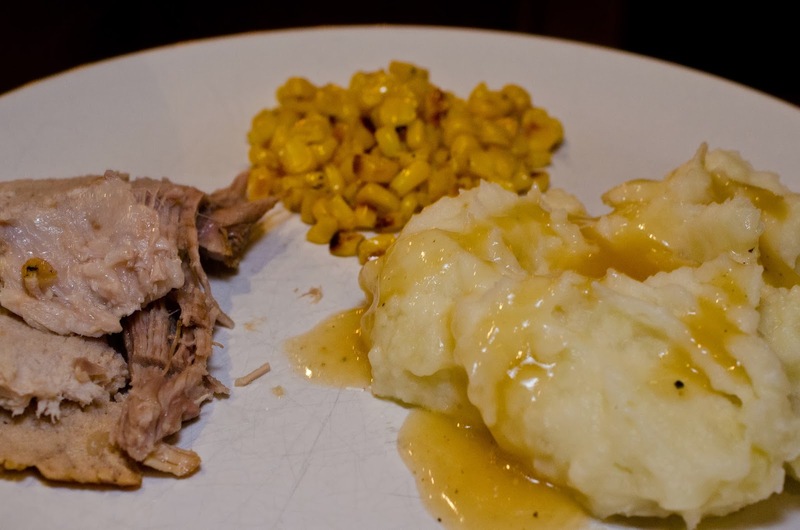 Well I said I had a pork roast we could have, and my daughters and husband said they wanted mashed potatoes and corn. 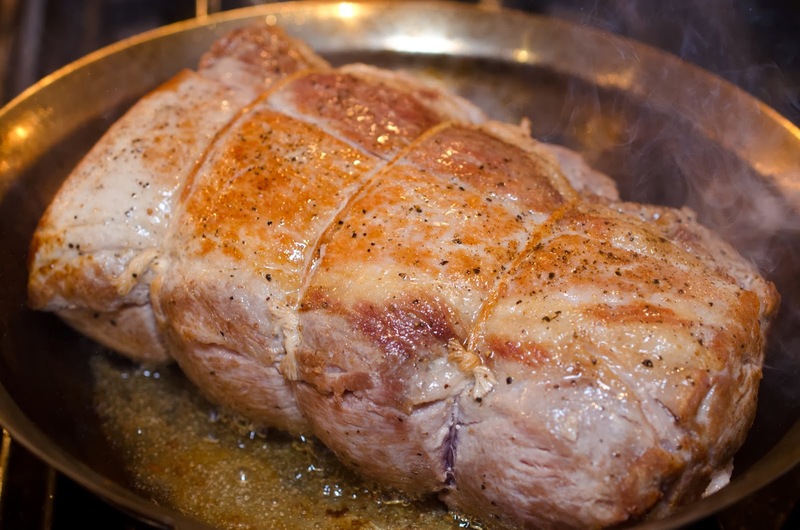 I was looking in Julia Child's "Mastering the Art of French Cooking" for some inspiration and came up with my own version of pork roast tonight. 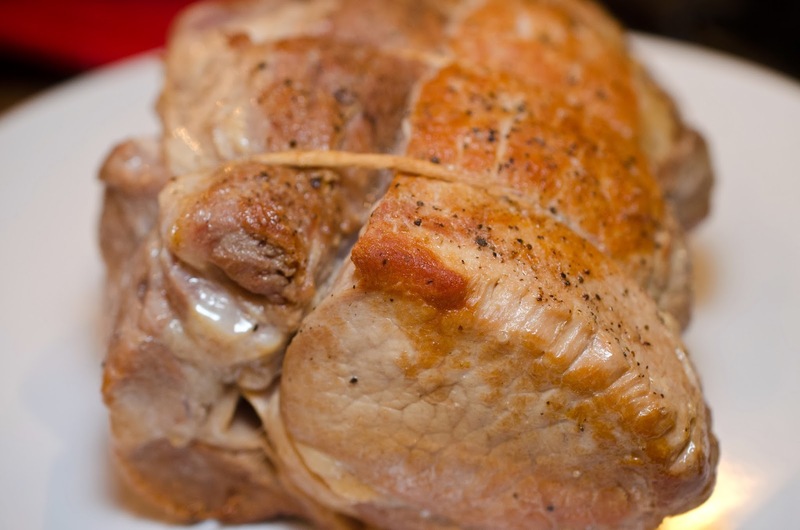 Pork roasts can be cooked in a pressure cooker in so much less time than in a Slow Cooker and in the oven, so of course that was the way to go. what our teenager wants, why not indulge him every now and again. 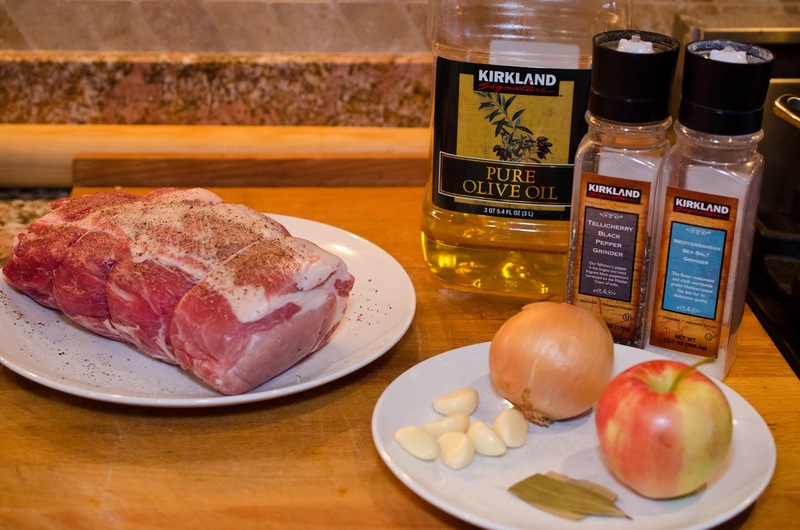 tablespoons of oil and then pork to your pan. Sear all 4 sides. Look at that golden delicious flavor! Everything shall be sliced! 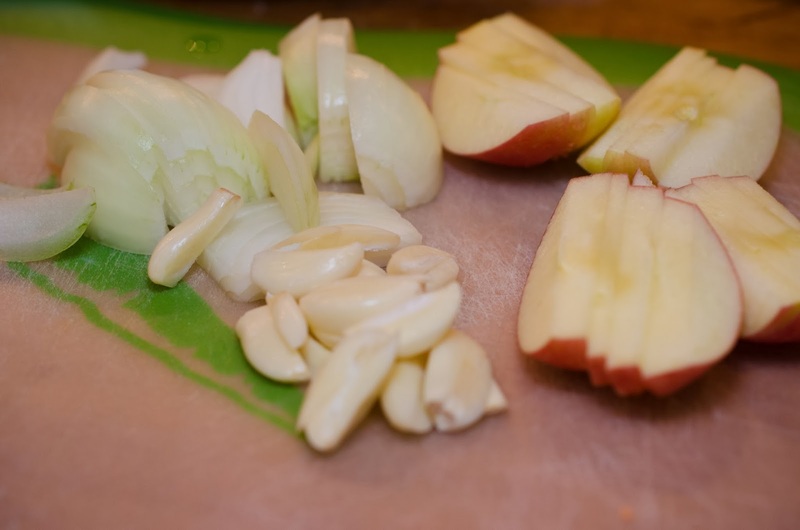 Also remove the core from the apple, and the skin from the onion. 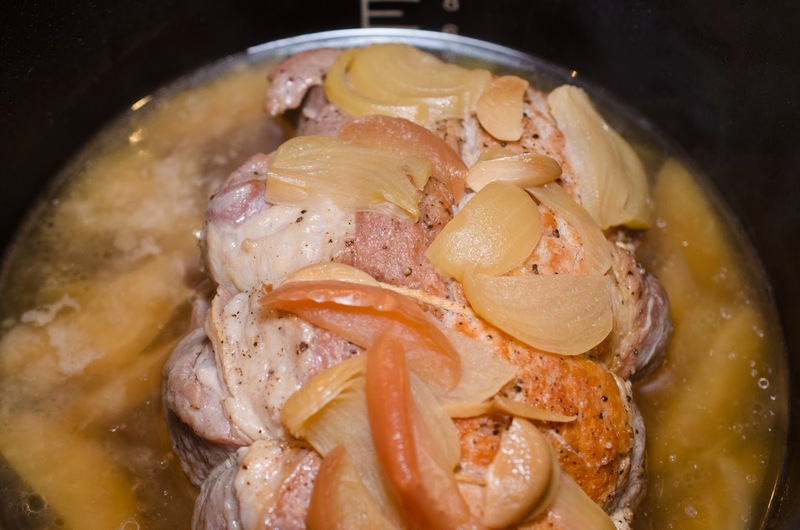 Put half the apple, onion, garlic and both bay leaves on the bottom of a pressure cooker pan. Boo." Add 1 1/2 cups of water. Close lid on pressure cooker, set to high for 55 minutes. through to make us dinner. Oh wait, I'm talking about an appliance, never mind. Look how pretty it looks. 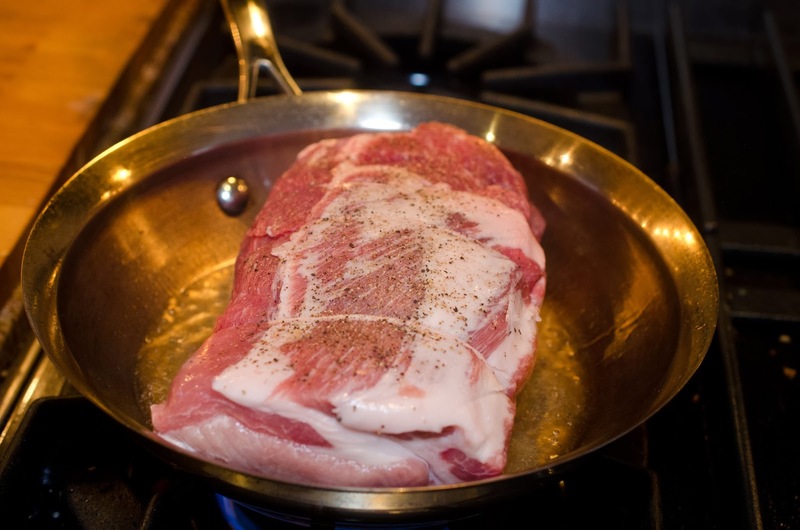 Remove roast to a serving platter. Let rest for 5 minutes before slicing. Stare at the roast and enjoy the smell for at least 1 minute and really enjoy it. Move on. 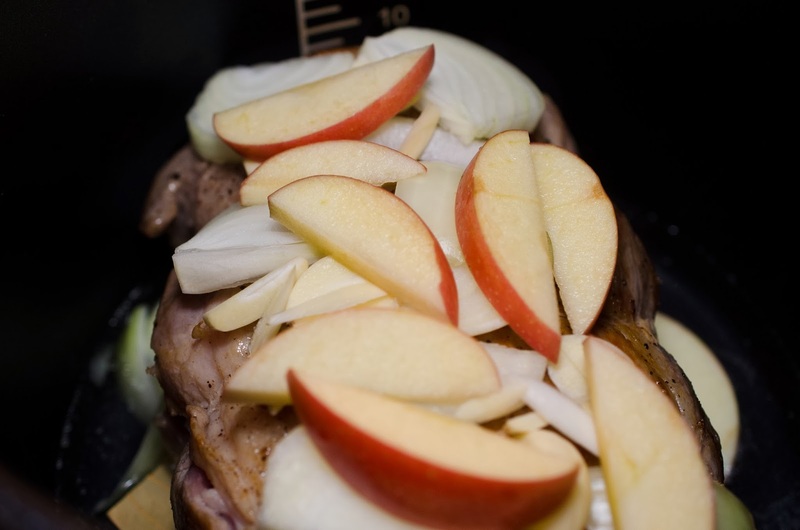 What does the apple add to the roast? It seems to me that the flavor would be too subtle to be noticed, but I've never tried it.